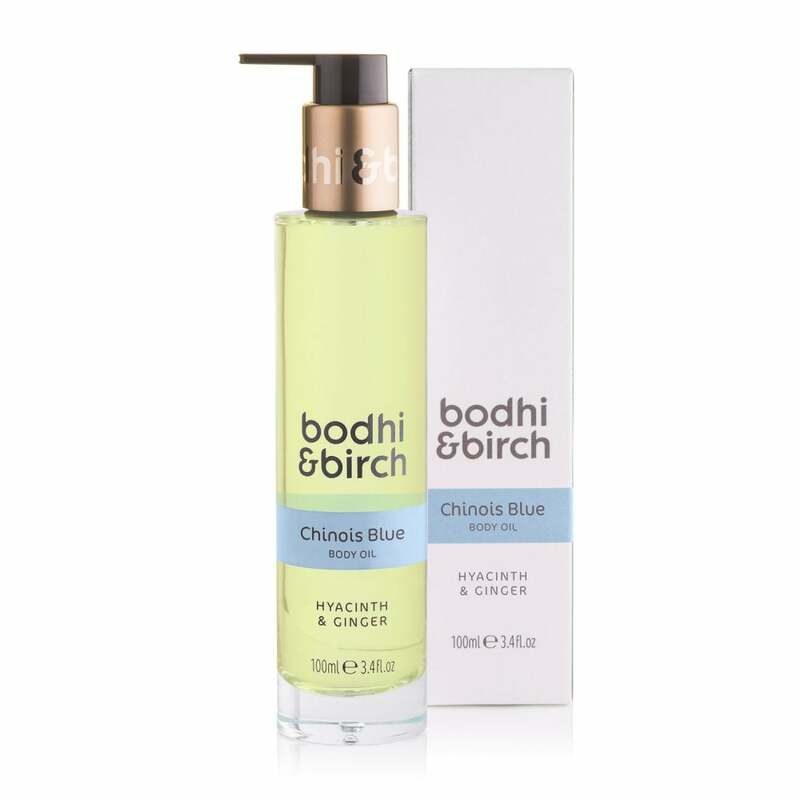 Bodhi & Birch Chinois Blue Body Oil: Leave your skin feeling deeply nourished and softly radiant with this hydrating body oil by Bodhi & Birch. Breathe in the vibrant aromas of hyacinth, honeysuckle, ginger and pomegranate whilst smoothing this luxurious oil over your skin after your bath or shower. To use as hair oil, apply a tablespoon to palm and gently massage from scalp to tip.